I was way too busy yesterday to post, but better late than never. 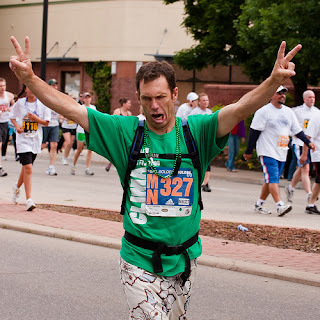 This guy gets props for conquering the distance (especially carrying a backpack) but the photographer-sheesh! "V" is for Victory-rock on buddy, rock on.